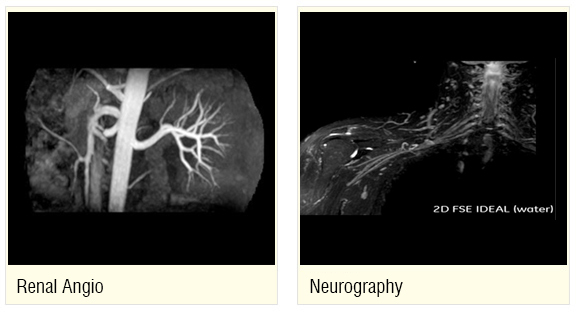 Comprehensive Radiology and Imaging Facilities under one roof. 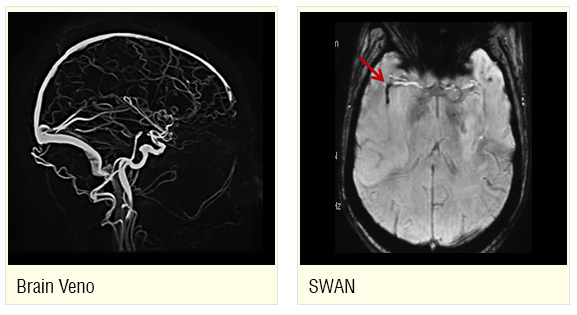 The scanner is equipped with advanced neuro applications like SWAN with phase imaging, spectroscopy, DTI Tractography, BOLD Functional imaging, Brain Stat (perfusion maps) 3D Arterial Spin Labeling is a technological breakthrough where by non-contrast cerebral perfusion studies can be performed. 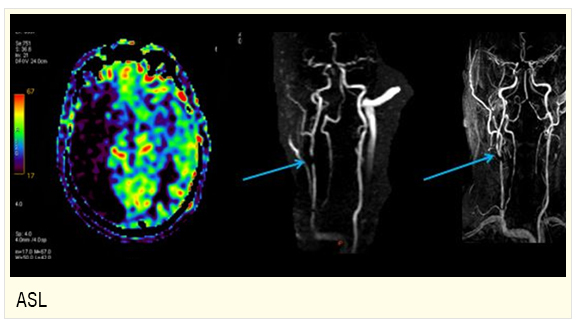 As compared to CE perfusion it provides absolute CBF values without having disadvantage of susceptibility artifacts. Propeller 3.0 provides sedation free imaging of uncooperative patients. Functional nerve imaging / neurography is conducted using unidirectional STIR diffusion, this helps us to identify nerve inflammation with / without compression. Previously MRI scanners were not able to clearly visualize post-operative joints with metal implants, but MAVRIC enables us to scan these patients. 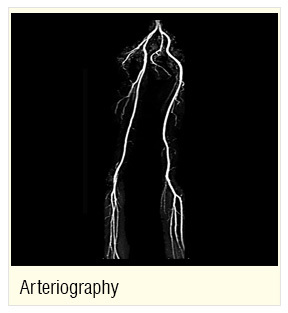 Non-contrast Lower limb arteriography & venography using INHANCE & Delta Flow is a boon for patients with renal insufficiency. Liver fat assessment is important for NAFLD, ALD, surgical planning and nodule assessment. 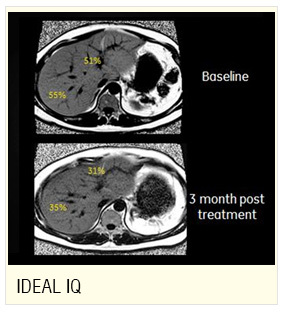 IDEAL IQ gives us qualitative & quantitative assessment of the Hepatic fat & iron content in a single breath hold. In order to provide the most accurate diagnosis for breast cancer, we have invested in an 8-channel breast coil, one of the best available in the world today. Together with e DWI & BREASE, VIBRANT breast imaging provides excellent homogeneous fat suppressed dynamic T1 weighted imaging for morphological & functional assessment of breast lumps.